Three events regarding the world of motorcycles, in these first months of the new year we took part in the events to present our latest innovations in the field of motorcycle accessories and apparel. SWISS-MOTO is far more than just a customary motorcycle show, however, since the SWISS-CUSTOM Customizing & Tuning Show – as a show within a show – creates a link to the world of customized and pimped bikes, built in many a long night, and thus gives the customizing scene access to visitors with money to spend. 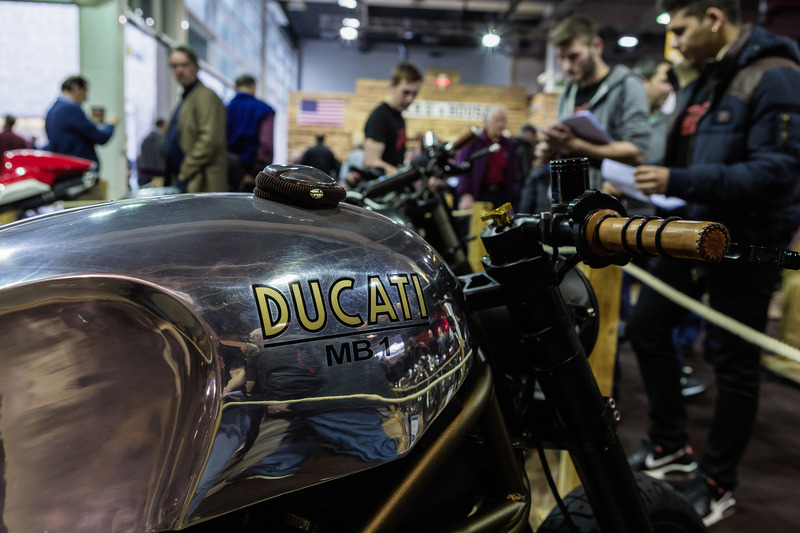 The geographically favourable position at the heart of Europe, and precisely this mix of scene insiders and an extended range of visitors, provides a unique spot for bike builders from Switzerland and abroad to showcase their achievements. The compact hall infrastructure at Messe Zürich, where the halls are arranged one above the other, adds the finishing touch to the show and makes for an atmosphere unrivalled anywhere else in Europe. On the international motorcycle fair Motorradwelt Bodensee in Friedrichshafen, the visitor can start optimally in the new season. As the first major motorcycle fair of the year she is an indicator and many contacts and sales calls can be made. The exhibition is conceived as an event and offers a mix of news, product launches, shows and active participation. In addition to test courses for Trials and quads and spectacular shows, there is a party with the hottest tribute and cover bands. On the whole the organisers welcomed on the 3 days of the fair, from 29. January to 31. January 2016, about 292 exhibitors and 44900 visitors on the Motorradwelt Bodensee in Friedrichshafen. 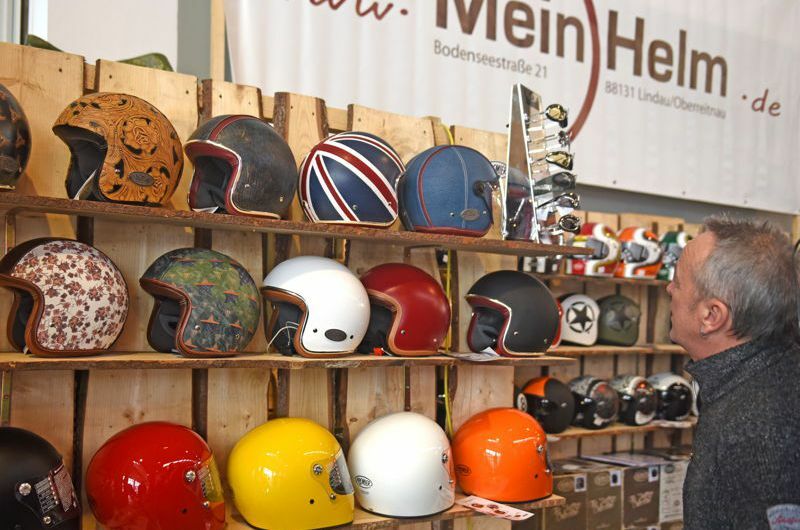 The Manufacturer of Jet helmets Baruffaldi present a new small shell that “combines the comfort with a smaller volume”, says Markus Noser-Baldi of “MeinHelm.de” from Lindau. Otherwise, Baruffaldi impresses with individual decorations. “Here, each helmet is unique.” – With the shell covered in high quality leather and inner shape memory. The 2017 Carole Nash MCN London Motorcycle Show has opened its doors to visitors, with the Australian and British Slide teams greeting visitors as they entered the show. This year’s event has it all, and then some. We have the live action Slide show, which sees Britain and Australia go head-to-head in a series of flat track races and trust us, they won’t be taking it easy. 22 of the world’s leading manufacturers will be showcasing the very best in new metal. Triumph will be debuting their new Street Triple whilst Norton bring their jaw-dropping V4RR and V4SS Superbikes. Live action, racing stars and a wide range of exciting activities ensures the three day event provides something for the whole family.